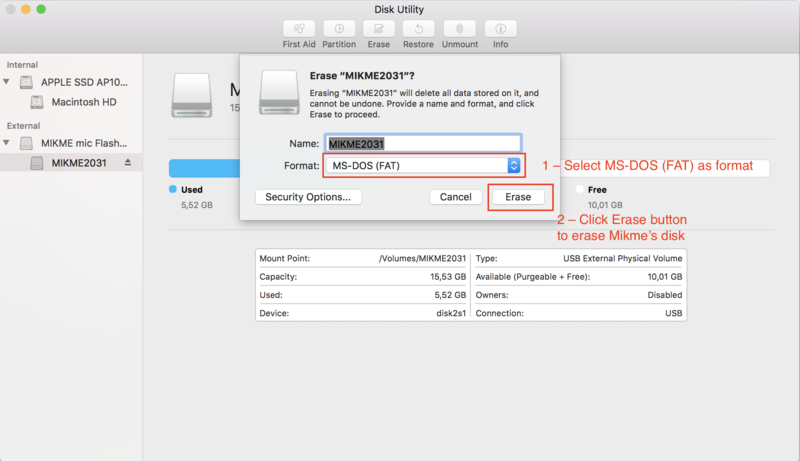 Learn how to format and erase the files system of you Mikme Microphone. Sometimes you may want to format your file system of your Mikme Microphone. This article describes how to make this happen. 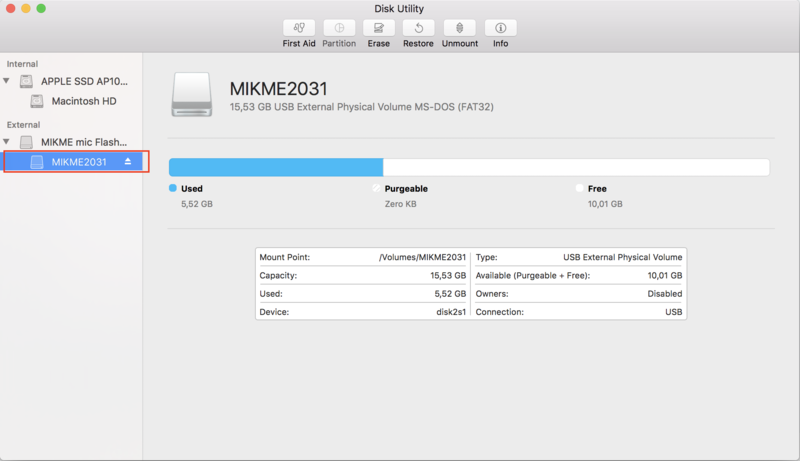 By reformatting the files system and the disk of your Mikme all your data on the Mikme Microphone will be deleted. So make sure you backup all your data to your computer disk before you format the file system. Turn your Mikme Microphone on (left Power button on backside of your Mikme). Connect your Mikme with the USB cable that came with your Mikme to your computer. Now you should see your Mikme mounted as an external storage on your computer's file explorer. Backup all your recordings of your Mikme Microphone.Copy all files from your Mikme Microphone onto your computer. 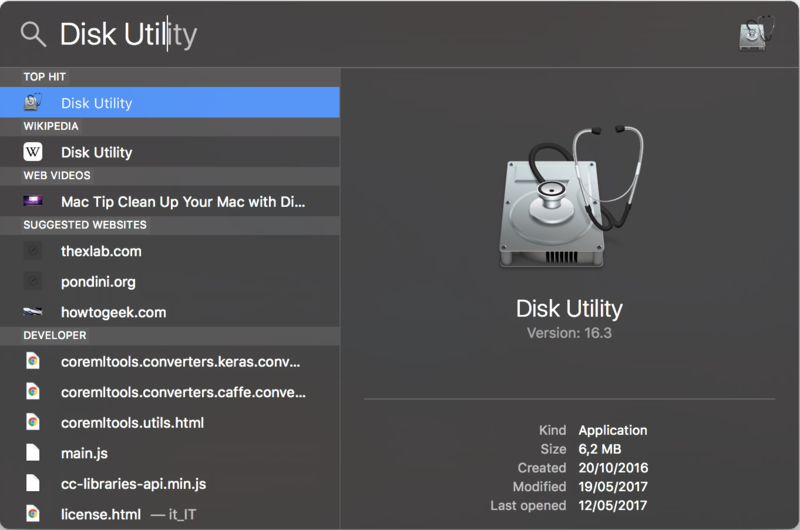 Search for the Disk Utility app with either spotlight or within the Mac OS app folder /Applications/Utilities/Disk Utility. 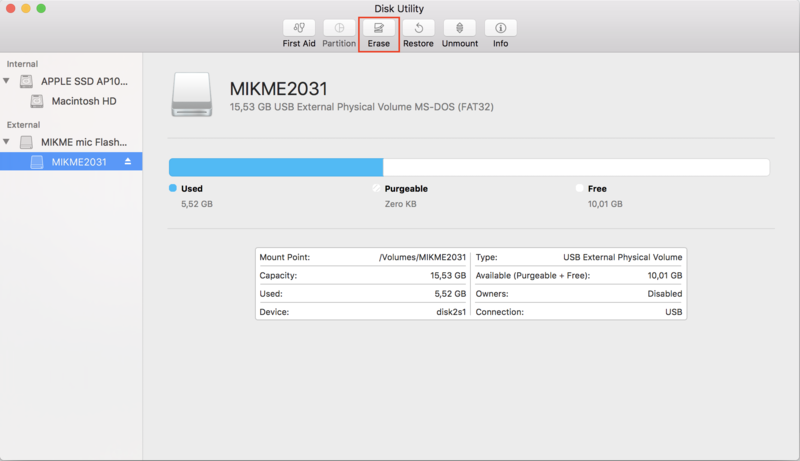 Disk Utility will show a list of all connect disks. Mikme will show up in the left handed list. Click the MikmeXXXX icon and select it. Now click the erase button at the top. This will open the erase dialog. Select MS-DOS (FAT) as file format. 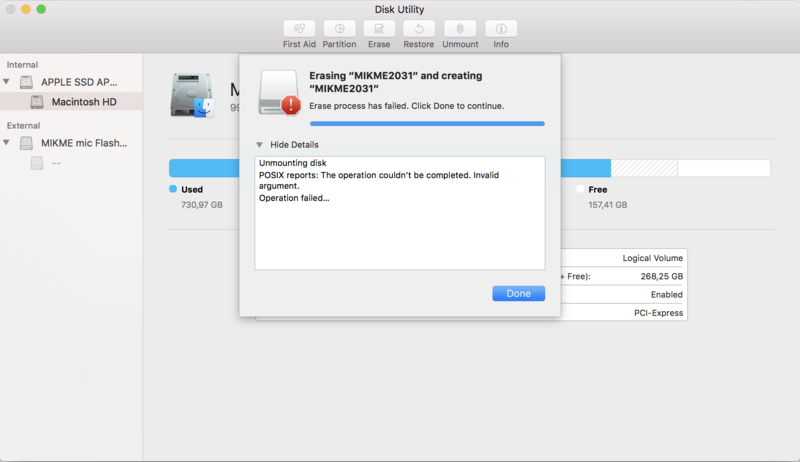 Click the erase button to delete and reformat Mikme's disk. Now the disk will be reformatted. If everything is OK this dialog will show up. Hit done and you are ready to use your Mikme again with a fresh file system. 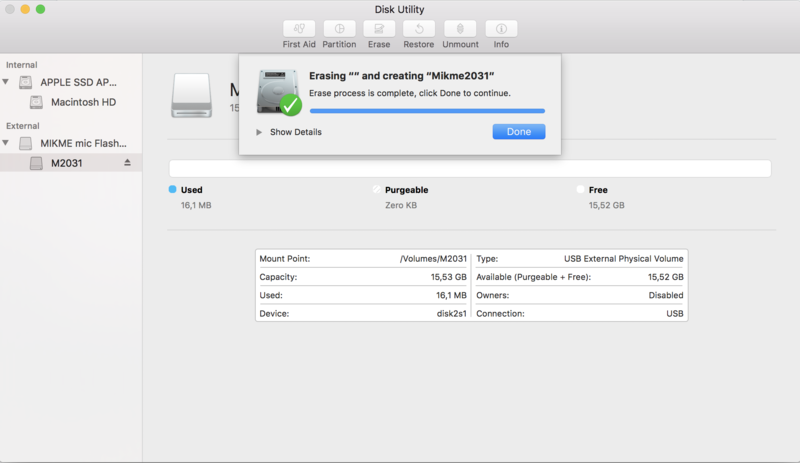 Click done and start the procedure again at step: "3 – Erase the Mikme file disk and reformat it". Normally if you retry these procedure the formatting should work fine. If there are still issues please send us a note via hello at mikme dot com.